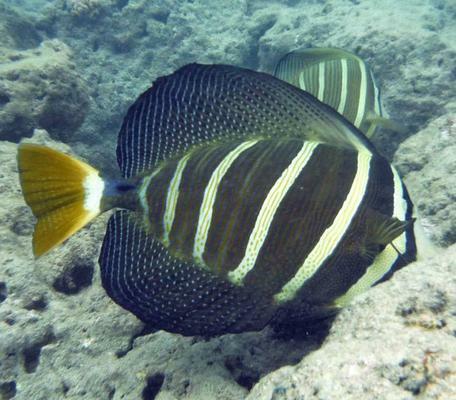 We pick you up at your hotel doorstep for your day of fun in the sun, snorkeling at Hanauma Bay Nature Preserve! 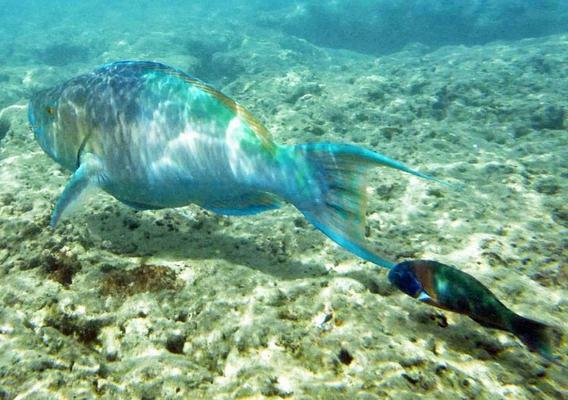 The bay is protected by the walls of volcanic formation and the waters are pure and clear to provide ideal protected environment for fish and other marine wild life. 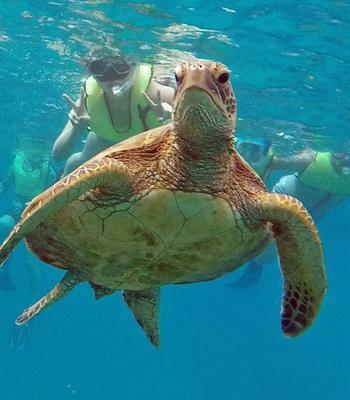 The inner reef beach area is a long descent from zero to about 13 feet and perfect for children and casual snorkeling, while the outside reef portion is from 13 feet to 30+ feet and good for a fun challenge for more advanced snorkelers. Available: Everyday except closed on Tuesdays. Please select pick-up & return times in check-out process. Available: Mon,Wed,Thu,Fri,Sat. Tour Not Available Sunday and Tuesday. Entrance fee of $7.50 is not included in tour price. Entrance fee is for those ages 13yrs & older. 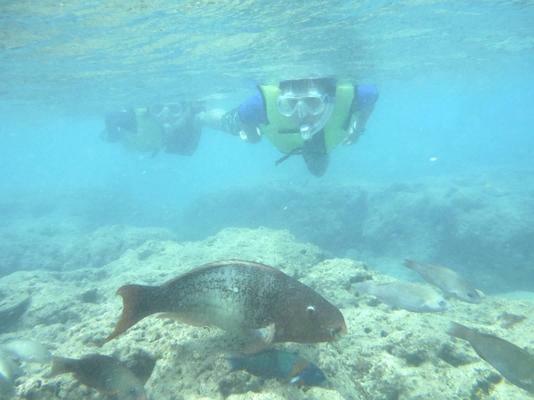 Snorkeling is one of the easiest and safest ways to truly experience Hawaii. And there’s no better place to do just that than at the world-famous Hanauma Bay Nature Preserve. 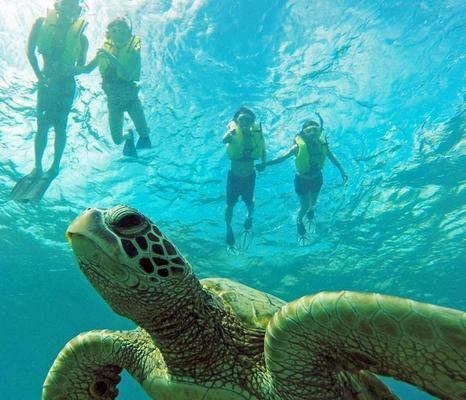 The cone-shaped bay, remnants of a volcanic formation, completely protects the crystal clear waters; thus making it an ideal location for spotting coral, fish, and other marine wildlife. 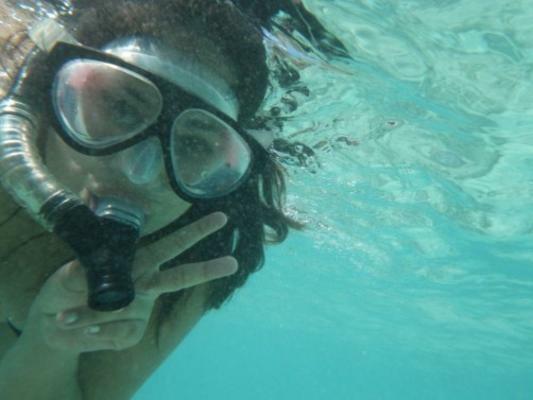 With two reefs of various depths, it’s an excellent spot for both beginner and advanced snorkelers. 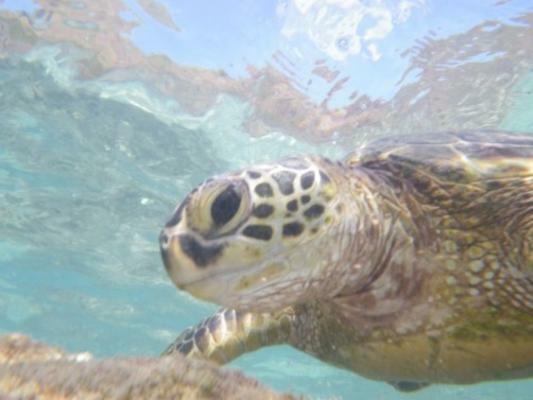 On our Hanauma Bay Standard Tour, we’ll pick you up and take care of all the transportation to the nature preserve. 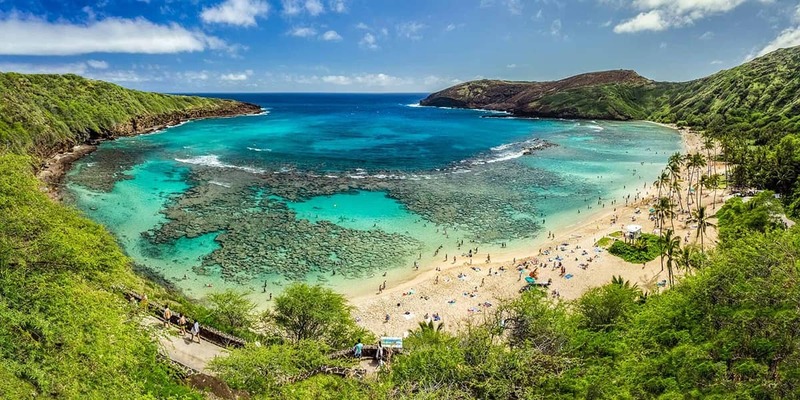 Formed from the remains of a volcanic cone, Hanauma Bay offers pristine snorkel conditions: clear blue water, many coral reefs, and plenty of marine wildlife to observe. Not to mention, it’s just stunningly beautiful. Hanauma Bay is a must-see Oahu attraction. 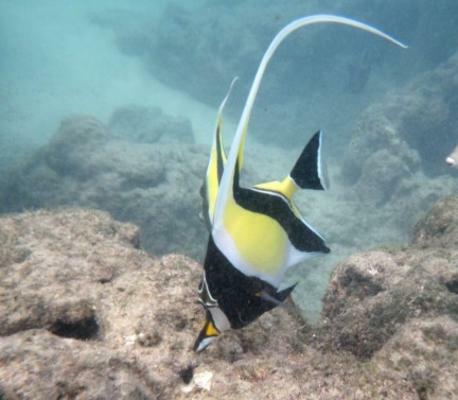 On our Deluxe Hanauma Bay Tour, we take care of all of the details. 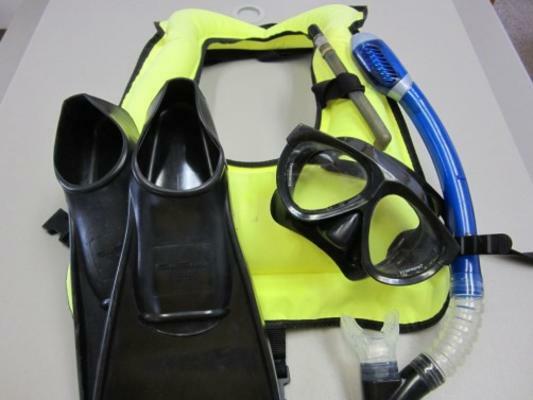 We provide high quality, sanitized snorkel equipment, flotation vests, beach mats, bottled waters, snacks, round-trip transportation and more. 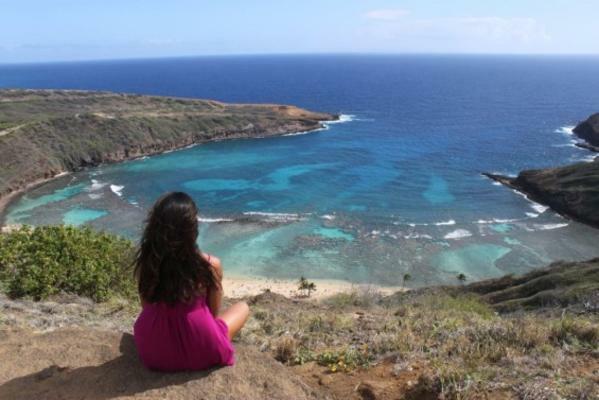 All you have to do is enjoy the wondrous beauty of Hanauma Bay!